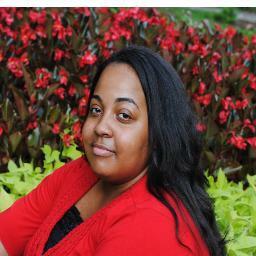 Airreia is a gentle, soft-spoken,and sweet woman who is sensitive to the hearts of others with a true heart for God. She has a reason to smile because the joy of the Lord is her strength. Behind her smile the Lord has held her precious hand through many dark storms—battles of insecurity, depression, low self-esteem, rejection, abuse, evictions, homelessness, poverty, divorce, heartbreak, fornication, addictions, fear, family brokenness, suicidal thoughts, and barriers in emotional, spiritual, and physical intimacy. It was obedience that made her leave her interior design major for the education major in which God revealed His plan to teach His little children. She is a first-generation student who was able to graduate from both undergraduate and graduate school debt-free. It was also obedience that made her refrain from fornication and seek deliverance through Jesus Christ. This decision enabled her to encourage others to also live a life of purity. Obedience also led her to leave her boyfriend, to later meet her husband. Airreia has obtained her Bachelor’s and Master’s degree in Human Development and Family Studies: Birth-Kindergarten education. In addition to her passion in teaching young children, her other passions include writing, reading, and painting. She also enjoys her role as a wife to her husband Sam of over a year. Above all, she deeply expresses that her growing intimate and personal relationship with Christ is the best achievement in life.